Our Private Inca trail is the finest way to experience to the fullest the most amazing hike that we have in Peru. 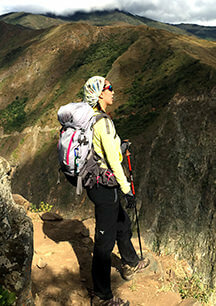 The Inca Trail It is one of the world’s oldest pilgrimages and is consistently ranked among the ten best hikes on the planet. Over four unforgettable days, you will hike through different ecological zones which house an abundance of flora and fauna. These include various orchids, bromeliads, hummingbirds, foxes and dear. Some lucky hikers may even catch a glimpse of the magnificent spectacled bear of South America. Along the hike, you will have the opportunity to explore a number of breathtaking archaeological sites and farming terraces, which were left behind by the Inca Empire and remained undiscovered for over 400 years. 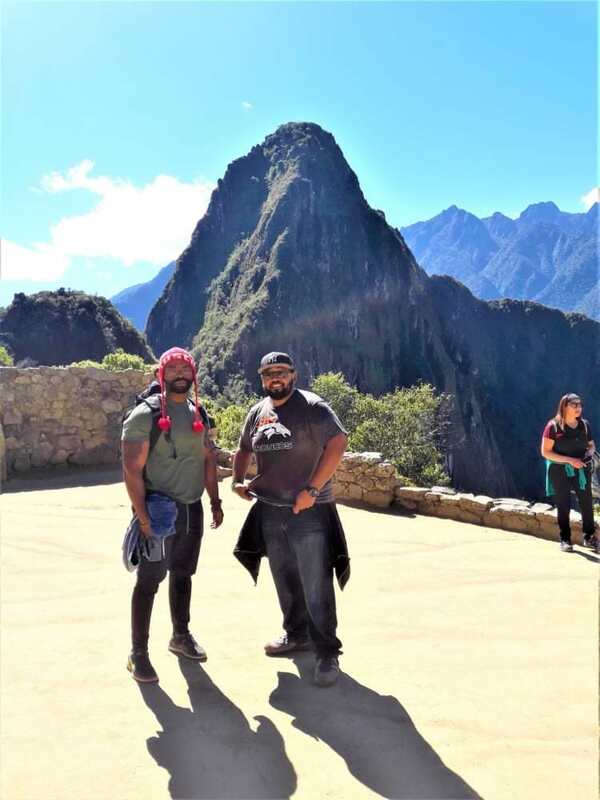 Nothing quite compares to the pinnacle of your journey; finishing the trek in Machu Picchu – one of the most majestic and spectacular places on earth. All this amazing thing with an exclusive team of porters, chefs, and tour guides. As a young Company, we offer you the best service at a great value 100% satisfaction guarantee. Travel Assistance 24/7 for any questions or recommendations before, during, and after the tour. Peruvian gourmet food. Learn, and prepare your own food directed by our chefs. The TreXperience team will pick you up from your hotel between 4:30-6: 30 am (depending on your location) and drive you to KM. 82 – arriving at approximately 8.00am. After a delicious breakfast, we will head straight to the checkpoint to begin your Inca TreXperience! It’s a relatively easy two-hour walk to Patallacta; the first Inca site along the trail. From a unique, secluded location we will enjoy the breathtaking views of this ancient city throughout an energizing yoga and meditation session. It’s then another two-hour walk to Hatunchaca – located in the heart of the Inca trail – where lunch will be waiting. We will walk for another two hours to the first campsite located in Ayapata, arriving at approximately 5:00 pm. Your tent, a snack and a hot drink will be waiting for you. You will then have some time to rest and enjoy the view of the mountains before dinner. We will wake you up bright and early with a hot cup of coffee or cocoa tea. Today will be the most challenging and after breakfast, it’s a 4-hour trek uphill to Dead Woman’s Pass. At 4215m / 13829ft., this is the highest point along the Inca Trail. At the summit, we will take time to appreciate the serenity of this location while your guide completes a traditional offering ceremony to the Apus (local Gods). After a 2-hour downhill trek to Pacaymayu Valley, we will enjoy a well-earned lunch. The second pass is an easier 2-hours climb and we will take time to explore two Inca sites along the way; RuncuRaccay and Sayacmarca. It’s then a 20-minute walk to the second campsite at Chaquicocha (dry lake, 3600m / 11811 ft.), where you will be able to admire a beautiful sunset over the Vilcabamba mountain range before dinner. With an unobstructed view of the constellations, this is the perfect place to stargaze! With the hard part well and truly over, you can relax and enjoy the easiest and arguably most interesting day of the trek. Today’s route is extremely varied and it is only a 5-hour walk to the final campsite. Along the way, you will pass through a number of different ecosystems, experience the atmospheric cloud forest and observe the magnificent panoramic view of Salkantay Mountain (the second highest in Cusco). We will visit two Inca sites; Phuyupatamarka (City in the Clouds) with spectacular views of the Urubamba River and the Machu Picchu Mountain, and Intipata (Terraces of the Sun). At Intipata, there will be time to rest and take in your magical surroundings during another meditation session. We will reach the campsite at approximately 1:00 pm to have lunch and you can then enjoy some free time to relax and unwind. Later in the afternoon, we will visit another impressive Inca site – Wiñay Wayna – where your guide will explain the history of this remarkable location. We will then return to the campsite for tea and dinner and a special surprise! On our final day, we have to get up very early to prepare for the highlight of your TreXperience; visiting Machu Picchu – the Lost City of the Incas. We will go straight to the checkpoint and wait until it opens at 5:30 am. As the sky brightens, we will walk for an hour to the Sun Gate, taking in the stunning views along the way. On a clear day, you can watch the spectacular sunrise over Machu Picchu from the Sun Gate, which is truly an unforgettable sight. We will then start our one-hour decent towards Machu Picchu, arriving at the final control point at around 7:30 am. 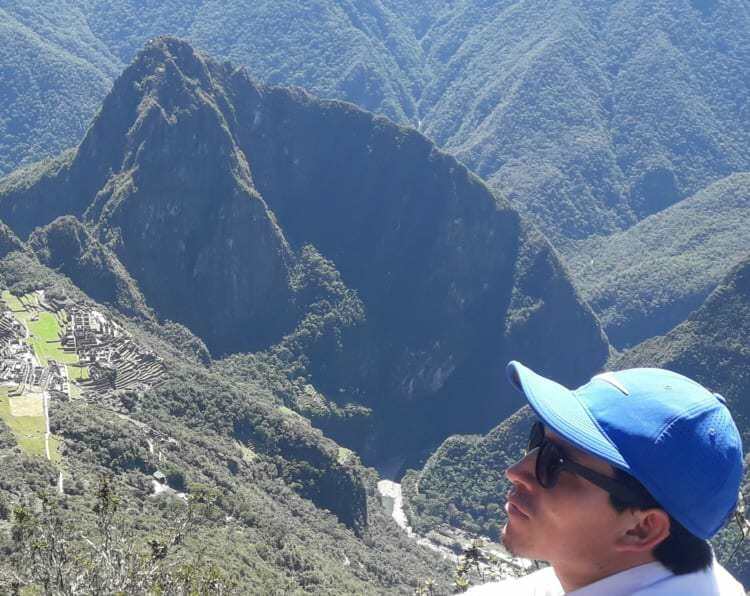 Your guide will take you on a two-hour comprehensive tour of the city before leaving you in Machu Picchu to explore on your own or climb either Huayna Picchu or Machu Picchu Mountain (tickets must be booked as far in advance as possible). Your guide will explain how to take the bus from Machu Picchu to Aguas Calientes for lunch and then take the train and bus back to Cusco. The TreXperience Team will meet you off the train and return you safely to your hotel. TreXperience offers a door to door service; we will pick up from your hotel on the morning of the trek and drop off back at your hotel on the last day. All required transportation throughout the trek is included, as well as the train back from Aguas Calientes. The train is Expedition class but can be upgraded to the Vistadome train for $55 per person. In addition, TreXperience offers a complimentary transfer service to and from the airport and your hotel. TreXperience provides the best possible equipment to all clients, as well as staff, to maximise your experience. These include; extra warm sleeping bags, Thermarest camping mats, Eureka tents (4 man tents are provided for every 2 people), black diamond trekking poles and more. TreXperience are proud of their highly talented chefs who never fail to cook up a delightful feast despite being in the middle of the Andean Mountains! We guarantee the biggest foodies among you won’t fail to be impressed. All breakfasts, lunches and dinners are provided each day (except lunch on the final day) and the food is both delicious and plentiful. We cater for all dietary requirements so please let us know of your needs. We will keep those energy levels high with snacks each day and we make sure you have a tea/coffee every morning to wake up and every afternoon to unwind. All drinkable water – from your first lunch for your last breakfast – will be provided (you need to supply your own water bottles/camelback and we recommend carrying at least 2L). The water is boiled, filtered and cooled before it is distributed. All TreXperience guides have received training in first aid and high mountain rescue. In the event, a guest requires medical attention while on the trek our staff will be able to assist you. A medical kit is kept with the team at all times. In the extremely rare case of a serious medical emergency, you will be evacuated to the nearest medical centre. We are committed to ensuring your trip is as comfortable as possible. We, therefore, provide hand towels, pillows, hand sanitizer, hot water for washing, drinkable water, snacks, daypack covers and rain ponchos. All these additional comforts are included in the price of your trek. All hikers need a warm sleeping bag for camping during the trek. We recommend a sleeping bag that keeps you warm during temperatures as low as -10C. Air mattresses and trekking poles are optional but recommended. If you don’t want to bring all these bulky items from home, you can rent them from us. Below is a list of items that we highly recommend you keep with you at all times in your personal backpack. Remember you will be carrying this with you every day of the trek so we recommend you bring a good quality daypack which is both light and comfortable. It is important to note that due to local regulations, your backpack should not exceed 25L. All larger backpacks cannot be taken into Machu Picchu and will need to be stored outside the gates. TreXperience will provide you with a duffel bag in which you can pack any items that you won’t need to keep with you during the day. Our porters will carry this bag for you throughout the trek. Please note this bag should weigh a maximum of 7 kg including the weight of your sleeping bag and air mattress (if you bring/rent one). When rented from us these two items weigh approximately 3.5 kg. During the Inca Trek, you will travel through different temperatures as you climb/descend, it can also be cold at night when at the campsite. Therefore layers work best!